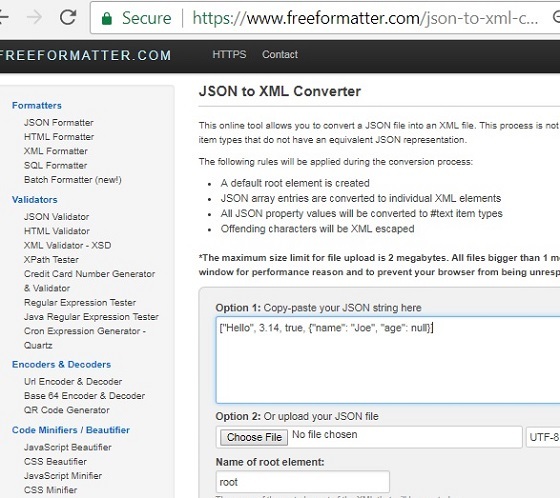 How to use the JSON to XML Conversion Tool at freeformatter.com? 1. Go to the JSON to XML Conversion Tool page at freeformatter.com. A root tag is added as <root>. "element" is used as the tag name for JSON array element. JSON Null value is converted to a null="true" attribute. So the JSON to XML conversion tool at freeformatter.com is good.